The barrel caliber is 7.62 mm, the total length is 195 mm, the barrel length is 116 mm, the weight is 0.94 kg, the total capacity of the magazine is 8 cartridges, the initial speed of the bullet is 420 m / s, the maximum firing rate is 30 shots in minute, the maximum aiming range is 50 m.
The special design of the pistol allows the use of a powerful cartridge that is capable of developing more than 500 Joules of energy, providing a high degree of penetrating power. After the bullet received kinetic energy for movement, as a result of the impact, a certain part of the energy of the recoil action in the form of recoil affects the barrel of the gun. Some of this energy, which remained after the shot, is transmitted to the bolt, ensuring the maximum degree of reliability and correct functioning of the gun automatic. The effect of gripping the barrel of the gun with the bolt is made with the help of special rings placed on the trunk, and special grooves on the valve body. To release from engagement of this mechanism, a pivot pin is used, which is lowered after a special short stroke. The movement of the shutter in the opposite direction completely compresses the return spring and fires the trigger by its rear part. The lower part of the bolt presses on a special ledge, which releases the pull rod, allowing the next single shot to be fired only after the trigger has fully returned. To prepare for the execution of the shot, you must manually remove the bolt, sending the cartridge into the chamber, simultaneously cocking the trigger. Further recharging is performed by means of the automatic pistol. After firing all 8 rounds, the bolt is fixed in the extreme rear position. 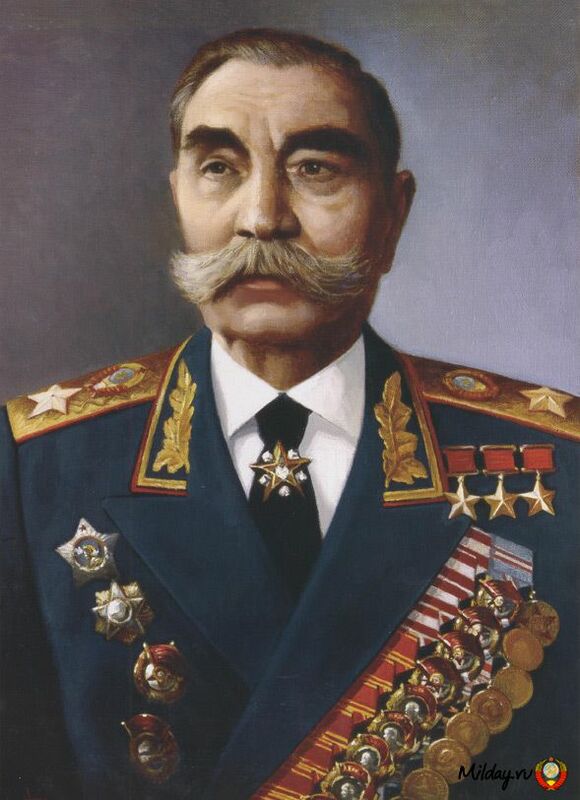 In the late 20-ies of the last century, a complete rearmament of all the forces of the Soviet Army. At that time in service there were various models of foreign pistols and domestic revolvers of 1895. The command required immediate replacement of these weapons with more modern and reliable specimens. Already in 1927, a special design bureau was set up at the Tula arms factory, which exclusively dealt with the development of small arms and cannon weapons for the army. Since 1928, this division was led by a well-known arms designer designer F.V. Tokarev. It took a lot of effort and time to produce a special pistol. It was decided to re-equip the existing weapons factories, which at that time massively produced Mausers with a caliber of 7.62 mm, to produce modern pistols of the same caliber. In the summer of 1930 mass tests were carried out on the ranges of all models of Russian and foreign pistols. As a result of these tests, the TT pistol was considered the most promising, as it was considered as the most acceptable and suitable for the needs of the army. 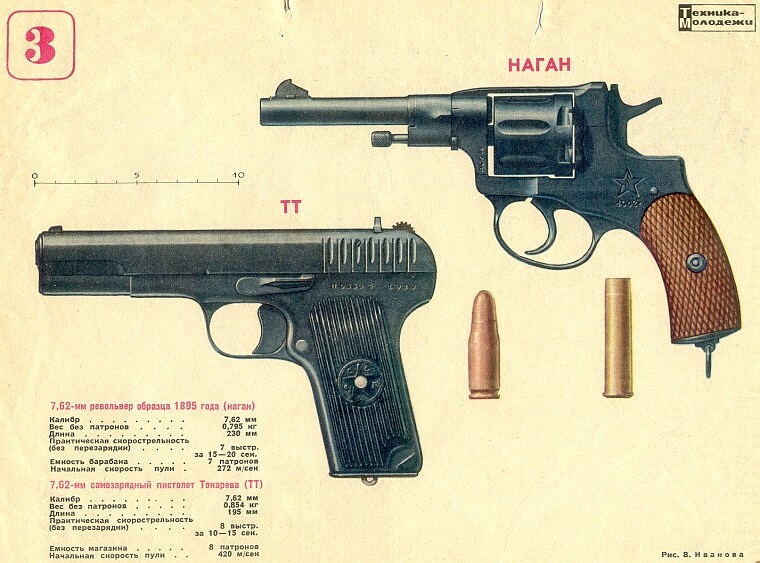 In the winter of the same year, after the next testing tests, the head of the military commission recommended a TT pistol for deployment to the Soviet Army. And already in the beginning of 1931 the plant for the production of weapons in Tula received an order for 1000 new TT pistols. Certain upgrades and modifications to the TT pistol were carried out in 1933 and 1934. These changes made it possible to slightly simplify the production technology. 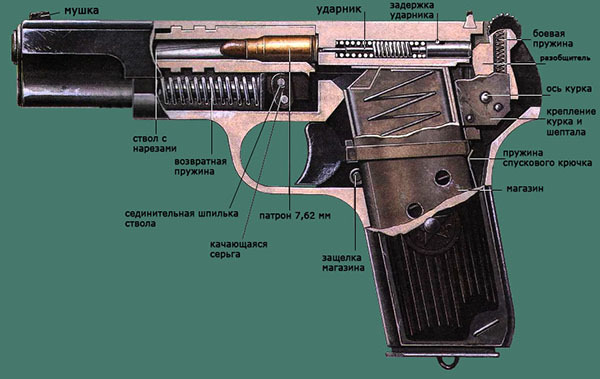 During the Second World War, the production of TT pistols, which had excellent technical indicators, was transferred to the Izhevsk Mechanical Plant, as the arms factory in Tula was suspended. 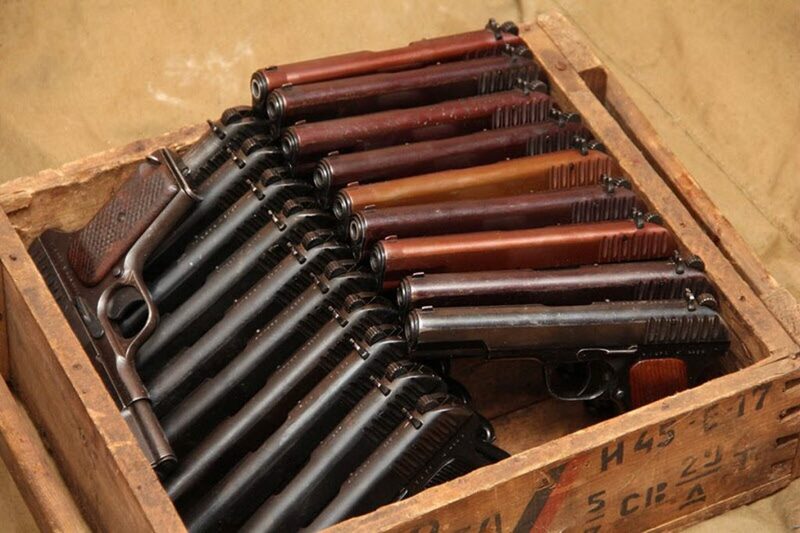 After the end of the long war, the Tula, Izhevsk and Kovrov gun factories were engaged in the manufacture of original TT pistols. At one time the TT gun was a personal weapon of all officers and generals of the Soviet Army. It was used to participate in close combat for short distances, which did not exceed 50 meters. 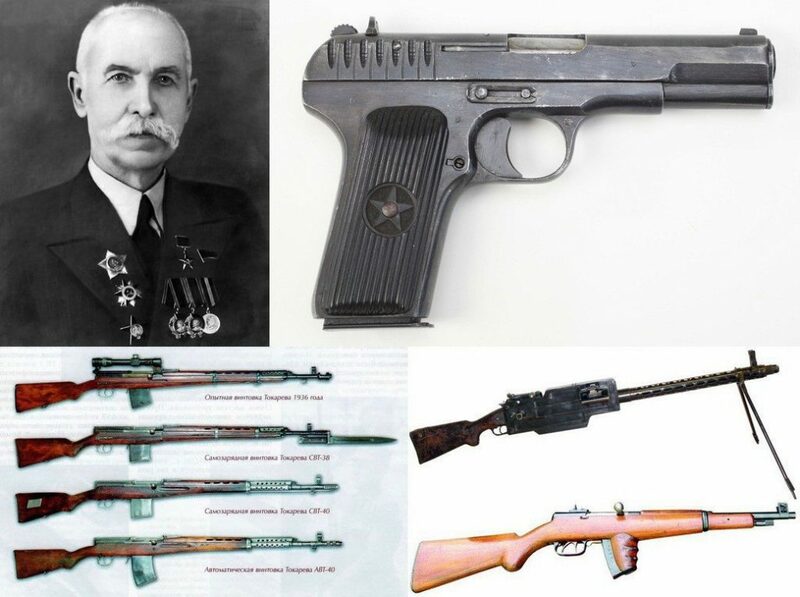 Designing and development of the Tula-Tokarev pistol was carried out within the framework of a special weapons competition, which was held in 1929 to determine the most promising modern model of small arms for the needs of the army. The commission’s demands consisted of the highest accuracy of firing, the maximum degree of weapon safety and the simplicity of the overall device. According to the results of the contest, at which the best variants of modern weapons were presented, the best were the drawings of the designer F.V. Tokarev. This development implied the use of a 7.62 mm cartridge. After carrying out the next polygon tests in 1930, the Tula-Tokarev pistol proved to be the best. And already at the beginning of next year this small arms model was put into service by the Soviet Army, where he received his famous nickname “TT”. The first samples of the TT pistol had certain defects, which were expressed in the imperfection of the safety mechanism, the shortcomings of the clip and the low service life. All these shortcomings were eliminated during the modernization of the pistol in 1933. After the improvement, the TT gun showed itself perfectly during the Second World War. An interesting fact in the history of the unique weapon is that the famous commander SM. 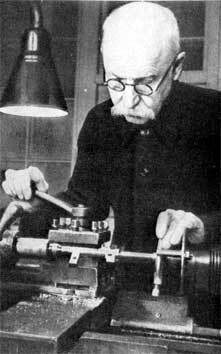 Budyonny recommended F. Tokarev use in the design of the gun automatic fuse, which would be able to block the trigger mechanism of the gun when falling out of the hand. This fact did not go unnoticed, taking into account the urgent recommendations of an influential mentor, the designer used this fuse system. 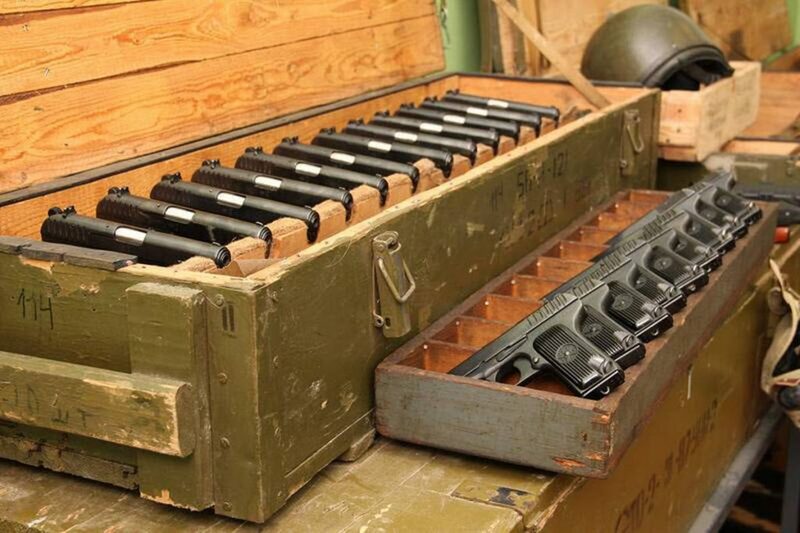 Since the beginning of mass production in 1930, the TT gun was used for the needs of the Russian army. Over the entire history of production, more than 1 million 700 thousand copies of this weapon were produced. A large number of weapons were exported to the countries of the near and far abroad. Some countries have acquired special state licenses for the production of this model of weapons and ammunition to it on their own. Perhaps the most striking expression of the popularity of the original TT pistol is the photograph of the “Combat” of 1942, made by the famous photographer of that time Max Alpert. 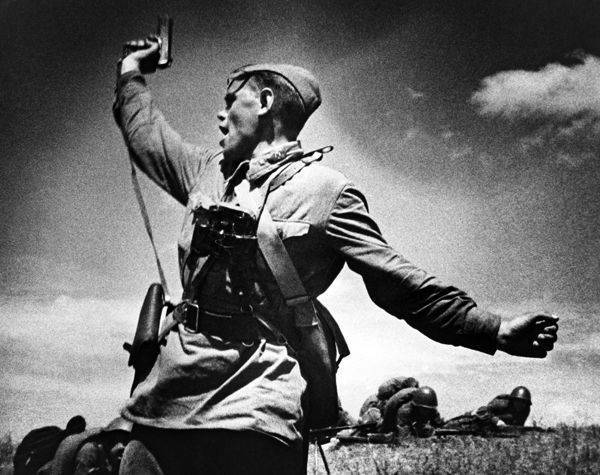 This photograph depicts one of the Soviet field commanders, who raises his unit in an attack with a Tula-Tokarev pistol in his hand. Such a characteristic transfer of the dramatic nature of the moment and popularity of Soviet weapons is due to the high demand and frequent use of this weapon. Soldiers of that time in private conversations and memories spoke positively about the TT pistol. In the dashing 90-ies of the last century the TT gun was very popular in the criminal world, as it had a low cost, in view of the availability of theft from military depots. The original TT had excellent performance indicators, which were appreciated by representatives of the underworld. He suffered a large number of various financial tycoons of the last century, who fell into the hands of mafia bosses. 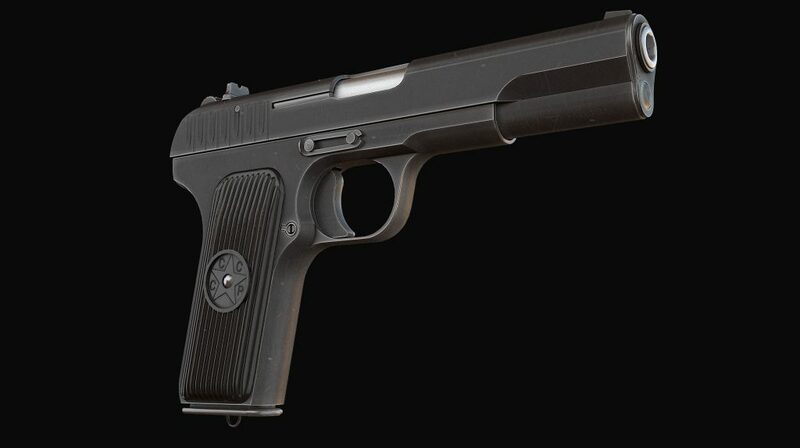 The big popularity of the TT pistol has found its reflection in many Russian films that revealed some scenes of military operations or criminal histories of the end of the last century. 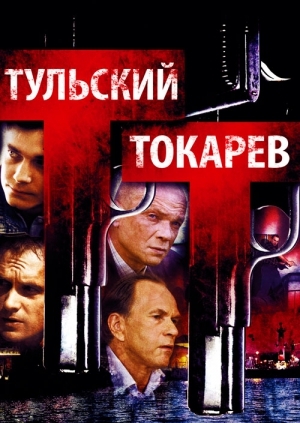 One of the most striking films that details the events of the 1990s and the direct participation of the TT pistol in them is the 2010 picture with the original name “Tula Tokarev”. The plot of the film subtly conveys all the features and nuances of that time, emphasizing certain facts that are not mentioned in history textbooks. The TT gun was often used by the killers during the criminal showdown. The affordable cost allowed to throw weapons right at the crime scene. High lethal force and unpretentiousness in operation allowed the TT gun to gain a certain authority among modern weapons lovers. Despite the initial defects in production, which were successfully eliminated, to date the Tula-Tokarev gun is used in several dozen countries around the world.